...is the name under which the funk band Outta Space Crew throws their extraordinary and regulary party events. Fusing live music with DJ culture and Street Dance is the basic idea. For every Funk Injection the band invites different artists to perform their songs live on stage followed by an after show party with always changing DJs. These featured MCs, Singers and DJs make each event diverse and special. 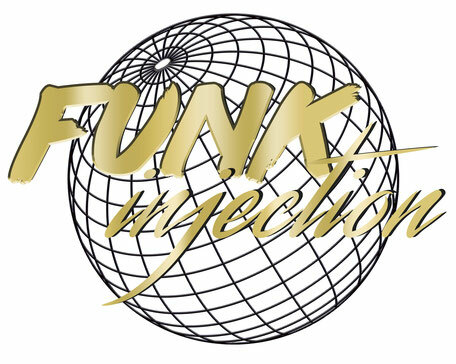 Since 2017 the Funk Injection is based in the club of Mannheim´s youth center FORUM. Supported by the breakdance crew True Rokin Soul the vision of the 5 musicians has been well established in the Funk & HipHop scene and beyond.